Missouri’s governor addressed numerous topics with reporters Thursday afternoon in Jefferson City, ranging from transportation to sports wagering to the Sunshine law. 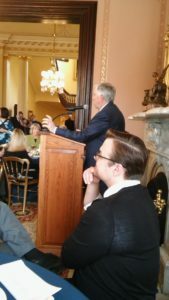 Governor Mike Parson, a Republican, spoke at the Governor’s Mansion during the Missouri Press Association and the Associated Press (AP) day at the Capitol. Parson answered questions from print, radio and television reporters for 43 minutes, and also had lunch with reporters before the question and answer session. Parson will be in southwest Missouri’s Joplin on Friday morning to tour a deteriorating bridge near I-44 that would be replaced under his proposed $350 million infrastructure plan. Parson says the plan would repair or replace 250 Missouri bridges. The governor told reporters Thursday that while his plan doesn’t fix Missouri’s infrastructure issue, it will help. “I’m going to try my best, I’m going to try my best to make sure that that gets through the process to realize that the state of Missouri is doing something,” Parson says. The governor was a vocal supporter of Proposition D, which would have increased the state’s gasoline tax by ten cents per gallon to help pay for Missouri’s highway system. Missourians defeated the measure at the polls in November by about 173,000 votes. Parson will tour the Rangeline Road bridge over Joplin’s Kansas City Southern Railroad Friday morning, and will be joined by Missouri Department of Transportation (MoDOT) chief engineer Ed Hassinger. The governor will brief Joplin-area reporters Friday morning at 10, near the bridge. MoDOT says more than 900 Missouri bridges are in poor condition, while another 1,194 are weight restricted. Parson also says he believes sports wagering is coming to the Show-Me State. During Thursday’s press event, a reporter asked Parson about legislation from State Sen. Denny Hoskins, R-Warrensburg, to authorize sports betting. The Senate Small Business and Industry Committee heard testimony on the bill Thursday morning. 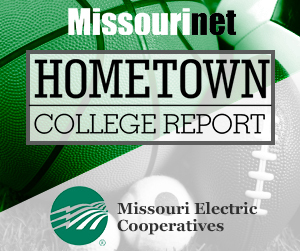 Hoskins, who chairs the committee, tells Missourinet that under his legislation, you would have to register for a sports betting app at one of Missouri’s 13 casinos. He says after registering at a casino, you’d be able to bet anywhere in Missouri, under the bill. Hoskins predicts sports betting could raise millions of dollars for education and veterans programs. The governor is not taking a position on a potential merger between St. Louis City and County, which is a controversial issue. Governor Parson was asked about the proposed “Better Together” proposal. While he’s not taking a position on the issue, Parson says everything must be on the table, adding that Democratic Mayor Lyda Krewson says there are “serious problems” in St. Louis. State Rep. Bruce Franks, D-St. Louis, has filed legislation to require the potential merger to be approved by a majority of voters in St. Louis City and County. Parson also says his office has hired a full-time attorney, just to work on Sunshine Law issues and requests. He emphasizes the importance of transparency. The governor also spoke about his family and the job itself. He says the hardest part of the job is the demand on the position. Parson says the demands are also tough on his family and his farm in southwest Missouri’s Bolivar. There are seven statewide ballot issues being voted on in Missouri this November, and one of the lesser known items aims to give local bingo games a boost. If Amendment 4 passes, it would relax some of Missouri’s bingo laws making it easier for organizations that host bingo to advertise game nights and staff the events. A vote of ‘no’ would keep the current bingo laws in place. Joe Wayne Spalding is the bingo chairman at the Knights of Columbus in southeast Missouri’s Kelso. He says voting yes on the bingo amendment does not cost taxpayers anything and could help bring back bingo games in places they’ve closed. Under current law, Spalding says they can only advertise a bingo game on their property. 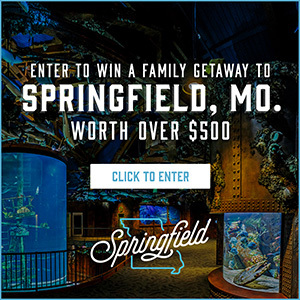 If passed by Missouri voters, the measure would open up opportunities to place ads elsewhere. 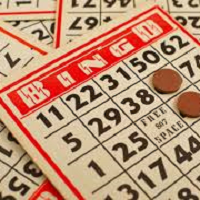 Missouri first legalized bingo as a form of gambling in 1980. In 1990 and 2000, voters rejected two similar proposals to ease rules for local bingo organizations. 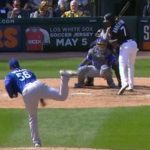 Sports betting in Missouri? A House member wants to legalize it. You might not have to travel to Vegas to place your sports bets. Some Missouri lawmakers want to make sports gambling legal in the state. Under one proposal heard this week by a House committee, casinos would have to pay a sports gambling tax if Rep. Dean Plocher’s bill passes. The House Budget Committee is considering the idea, along with whether to place a 12% tax from sports gambling and require casinos to pay a 1% integrity fee that goes to the sports leagues. The tax revenue would go toward education. 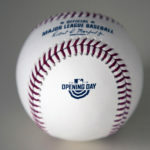 Representatives from Major League Baseball, the Kansas City Royals, the St. Louis Cardinals and the National Basketball Association are in favor of the bill and offered letters to the committee. Members of a House committee discussed how this would increase revenue for the sports teams and the casinos alike by getting more people involved and invested in teams. A witness from the Missouri Gaming Association testified against the bill. The committee has not yet voted on the measure. 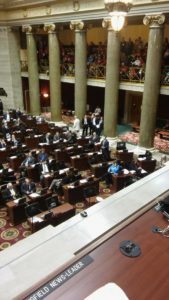 The Republican-controlled Missouri Legislature is preparing its priorities for the upcoming session. Whether proposals involving bingo games, sunscreen and plastic bags will see the light of day are unknown. Nonetheless, the bills spark curiosity about what creates cause for the regulation of bingo games, sunscreen and plastic bags. Sen. David Sater, R-Cassville, wants to allow students to have self-apply sunscreen at school without a parent or physician’s approval. Under the legislation, if a student needs assistance applying sunscreen, a school employee could help apply the sunscreen if the parent or guardian has given written consent. Schools and school employees would not be liable for any adverse reaction caused by the sunscreen or for discontinuing the application of the sunscreen. Sen. Gary Romine, R-Farmington, is proposing restrictions on bingo games conducted by charitable and religious organizations. Among other things, the legislation would reduce the time that new members of an organization can manage a bingo game from two years to six months. The price paid for a single bingo card under the license may not exceed one dollar. The number of bingo days conducted by a licensee would be limited to two days per week. The legislation would also include age restrictions and hours when bingo games cannot occur. The bill would become law if voters agree to change the Missouri Constitution for the same reasons. Rep. Dan Shaul, R-Imperial, will ask the legislature to block political subdivisions from restricting, taxing or prohibiting the use of paper or plastic bags or other disposable containers. The bill does not apply to the use of auxiliary containers on county or city property, or any political subdivision’s ordinance or agreement regarding recycling or solid waste disposal. 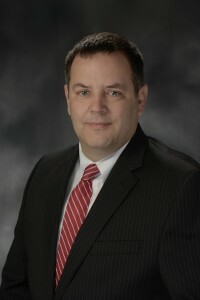 Shaul has been the state director of the Missouri Grocers Association since 2006. In 2015, Shaul sponsored restrictions on paper and plastic bags. Then-Governor Jay Nixon, a Democrat, vetoed the bill and the General Assembly successfully overturned his action. The measure was attached to a bill that tells cities they can’t set a greater minimum wage than the state. 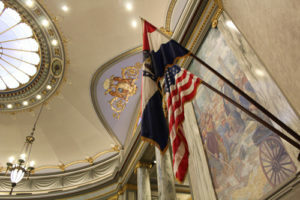 The legislature’s regular session begins January 3 at the Missouri Capitol in Jefferson City. The former CEO of Benchmark Healthcare in southeast Missouri’s Festus is heading to federal prison, for embezzling $667,000 in Medicaid funds. Johnnie Mac Sells was sentenced on Friday to pay back the money he pocketed, and also to serve 41 months in prison, the maximum sentence allowed under federal law. Sells admitted to spending $185,000 of the Medicaid funds at gentlemen’s clubs, $15,000 on pet care, $4,500 at casinos and $12,000 in country club fees between 2014-15. Due to Sells embezzlement, Benchmark went without money to spend on food and other supplies for their residents. The meals residents were given included a clear bowl of broth and a cookie. The facility lost Medicare and Medicaid eligibility, and shut down in 2016. Cells attorney requested a lesser sentence, but it was denied. 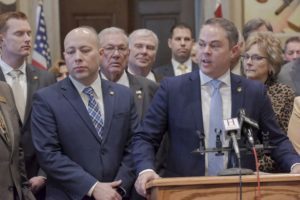 After a marathon debate at the Statehouse in Jefferson City, the Missouri House gave initial approval to prescription drug monitoring program legislation on Wednesday. The House approved State Rep. Holly Rehder’s (R-Sikeston) legislation, following a three-hour debate. Rehder tells Missourinet she believes her bill will be given final approval Thursday in the House. It would then go to the Missouri Senate. Rehder tells her House colleagues that prescription drug abuse is one of the fastest-growing epidemics in the nation. “Last year the babies born with opiates on Medicaid, the cost was $23 million,” Rehder says on the House floor. Missouri is currently the only state in the nation without a prescription drug monitoring program (PDMP), which is an electronic database that collects data on controlled substance prescriptions within a state. The House approved Rehder’s bill in a voice vote. She tells the House that the bill will give prescribers a tool to find and address abuses. “The most important part of this bill is getting to the root of this addiction, and that’s allowing the physicians to be able to see it on the front end and help a patient get back down to a healthier lifestyle,” Rehder says. 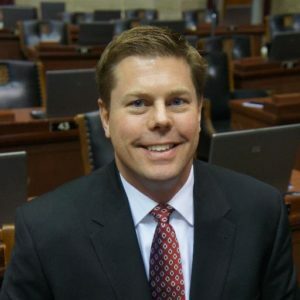 Critics of the bill include State Rep. Justin Hill (R-Lake St. Louis), a former St. Charles County undercover detective. Hill says a database won’t work. 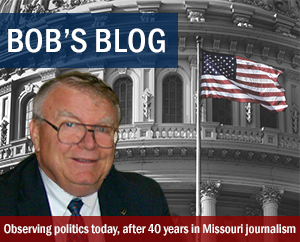 Veteran State Rep. Jay Barnes (R-Jefferson City) also questions the bill. He unsuccessfully offered an amendment to establish a voluntary list of addicts or former addicts, patterned after the “casino gambling list”. “It is nearly identical to the existing program we have for casinos’ gambling list that works, and I think it would work in this realm,” Barnes says. Rehder asked everyone in the House on Wednesday who supported her bill to vote against Barnes’ amendment, which was then rejected 86 to 68. The Sikeston Republican says 6,000 children were removed from substance abuse homes in Missouri last year, adding that emergency room visits for opioids by Missouri Medicaid patients increased more than 400 percent last year. Bill opponents say there is no proof that the bill will stop illegal prescriptions. Some opponents also say the PDMP would violate citizens’ Fourth Amendment rights with no positive outcome. The Missouri Hospital Association, Missouri Nurses Association, Missouri Pharmacy Association, the Missouri Grocers Association, Missouri Chamber of Commerce and Industry, Missouri Police Chiefs Association and the Missouri State Troopers Association were among those who testified this year for the Rehder bill. The Missouri Division of Tourism tells a House committee Monday in Jefferson City that 2016 was a record year for tourism in the Show-Me State. The Missouri Department of Economic Development (DED) and its Division of Tourism presented their budget blueprints before the House Budget Committee. Tourism Director Dan Lennon testifies that one out of 12 Missouri jobs is tourism-related. “FY (fiscal year) 16 was a year in which tourism generated an all-time record $16.5 billion in economic impact, 41.7 million visitors and more than 307,000 jobs associated with tourism,” says Lennon. Lennon tells lawmakers that tourism is also a good investment in Missouri. “In FY ’16, every dollar invested in our budget generated $92 in additional tourism expenditures and importantly returned $3.98 in state tax revenues back to the state of Missouri, return of nearly four to one,” Lennon testifies. House Budget Committee Chairman Scott Fitzpatrick (R-Shell Knob) wants to see what the statistics were from a few years ago. “If you’re telling me that it’s a four-to-one return from a tax revenue standpoint, a 92-to-one return as far as the spending that it generates, you know show me what the spending was four years ago when the appropriation was 50 percent less than it is now,” Fitzpatrick says. Governor Eric Greitens’ (R) proposed budget reduces the Tourism Commission’s budget from about $26 million to about $21 million. Chairman Fitzpatrick notes there have been withholdings, which he says will lessen the impact of the proposed cuts. More than 41 million people visited Missouri in fiscal year 2016, according to Lennon. Lennon tells the Budget Committee that there are five “activity buckets” in Missouri: arts and culture, outdoor recreation, family fun, sports and gaming and nightlife and entertainment. The Division of Tourism advocates for the development of Missouri’s travel and tourism industry. The DED website says the Division was created under legislation approved by Missouri lawmakers in 1967. Governor Jay Nixon wants state lawmakers to tax daily fantasy sports and regulate the industry like gambling. During his State of the State address last month, Nixon called on the legislature to do so and said applying a tax could raise millions of dollars for things like education. 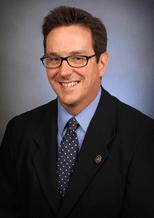 Senator Kurt Schaefer (R-Columbia) has filed a bill that would include standardized guidelines. “Since it is generally is over the internet, it’s going to be more effective if you’ve got kind of a national standard that each state is able adopt if they so choose, rather than going state by state. Some form of regulation is appropriate to make sure that it’s not being abused and participants are appropriate ages,” said Schaefer. Nixon thinks daily fantasy sports is gambling. Schaefer’s bill doesn’t include a tax or regulate the industry as gambling. Representative Scott Fitzpatrick (R-Shell Knob) has filed a House bill that would legalize gambling on daily fantasy sports. He doesn’t consider fantasy sports to be gambling, but instead a game of skill. Fitzpatrick is considering a number of amendments, including one that proposes a tax and another would require participants to be at least 18 years old to play. Several states, including Illinois, have made playing daily fantasy sports illegal.